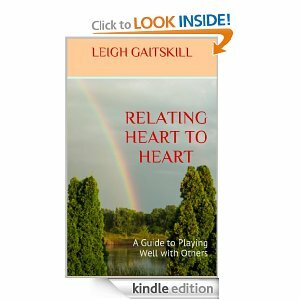 I’ve recently had the pleasure of reading fellow spiritual blogger Leigh Gaitskill’s book, Relating Heart to Heart, A Guide to Playing Well with Others. In only 53 pages, Leigh gets to the heart of the matter of relating to others: good communication! Good communication deepens relationships, whether with parents, other family members, friends, or a partner. 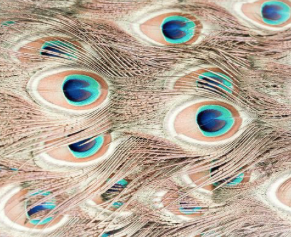 Leigh discusses ways in which we can become more self-aware and self-observant, as well as become non-judgmental and non-reactive when relating to others. These include practicing the Christian Golden Rule (Do unto others as you would have them do unto you, Luke 6:31 – my note), itself a form of the Law of Attraction, and the Buddhist precept from the Noble Eightfold Path: Right Speech. However, Leigh beautifully takes this a step further by discussing right listening! Right listening requires us to be nonjudgmental and non-reactive to others. By letting others be who they are without expectations, we are less likely to take things personally, and can therefore communicate from our hearts instead of our minds. Practicing mindfulness helps us to be fully present, and when we are fully present, our hearts are open to listening as well as lovingly speaking. There are different ways to cultivate and practice mindfulness, as Leigh expresses, from actual Vipassana meditation, to walking, chanting, or practicing yoga or chi gong. This is indeed a lovely guide for playing well with others! Relating Heart to Heart, A Guide to Playing Well with Others, is available as an ebook at Amazon for only $2.99. And stop by Leigh’s blog too at Not Just Sassy on the Inside. I also have a little catching up to do on awards. I have already received both of these, but it is always an honor to be acknowledged by fellow bloggers! Thank you to Sue at Dreamwalker’s Sanctuary for the Sisterhood of World Bloggers Award, and to Linda at Litebeing Chronicles for the WordPress Family Award! I am happy to have both of you as blogosphere sisters and family! For more info about awards, please visit the Awards Page. This entry was posted in Book Reviews Etc. and tagged books, Buddhism, chi hung, communication, Golden Rule, gratitude, law of attraction, meditation, mindfulness, Relating Heart to Heart, relationships, vipassana, yoga. Bookmark the permalink. Wonderful review, Julianne! Thank you for sharing. Good review of Leigh’s book. Thanks Julianne. You did help! I didn’t know what Bodhi meant. I had to look it up. 🙂 I’ve found that the only “knowledge” the “awakening” brings is an awareness that there are lots of unanswered questions. 😉 Enjoy your day! why are there awards here? I had no idea awards were given? But then I joined WP before the circles were formed.. I enjoy reading your blog posts. I love the title you chose for your blog too. I’d like to ask you for some relationship advice. There is a woman I met last summer who I think of as my soul-mate sister. I love the many wonderful sides to her personality. She is truly a whole person. I respect and admire her. She knows I feel this way. I have told her this many times. 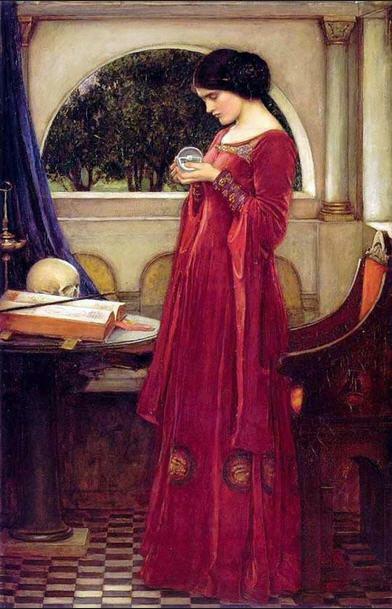 I should mention that I have never met her. We keep in contact by email. She’s been extremely supportive of me in the past. I have tried my best to encourage her as well. I feel this relationship has been very good for both us in terms of our personal growth and development. It’s obvious to me that we can accomplish great things together. The problem is that I do not know how to communicate effectively with her. More often than not, I find myself reacting badly to certain comments she makes in her emails. I take these comments as if she is saying that “I have a problem”. Or “There is something wrong with me.” These are the kinds of false beliefs I have been telling myself throughout my life. It hurts when I (mistakenly I’m sure) hear accusations like this coming from her. She does come across that way. I end up sending assertive messages back to her asking that she be respectful in how she speaks to me. I imagine this could be hurtful to a sensitive person like her. Our conflicts usually result in her not speaking to me (directly) for weeks at a time. It’s a bad dynamic that exists between the two of us in that sense. I want so much to understand her better and be friends. She has been asking me “dig deep” within myself for answers. I believe I did this in the past couple of days. I discovered that my childhood relationship with my mother has been affecting my ability to emotionally connect females in close personal relationships. It’s more complicated than that. At the same time, I can clearly see that my soul-sister has trouble trusting men. She may not realize this. Of course, this is just my theory. Do you see any way for the two of us to work out our differences? I would love to at least be friends with her. If I were not interested in making this relationship work, I certainly wouldn’t be taking the time to write this. I did put some thought into what I wrote here. You don’t have to post this comment if you feel it is too personal. I am interested in any advice you might have though. Thank you David! From what you wrote above, it sounds like she has come into your life for you to learn to challenge your belief systems and learn from your relationship with your mother. My sense is that there is more to learn there (we are here to learn after all). My suggestion is that first, before any relationship with this woman or another can develop or grow, you first need to heal the relationship you had with your mother. Even if your mother is not around, you can do some visualization exercises to re-create conversations and change how you acted, re-acted, or responded. The change has to come from within you. The next step, is to bring this into the relationship with this woman. It may change the relationship, it may not depending on her choices and actions, but then you will be in a better place to decide if you wish to continue it or not. Often what are called soul mates are people who come into our loves to challenge us and stimulate inner growth, but they may not necessarily be someone we should have in our day-to-day lives. These can be powerful encounters, but tremendous growth is possible. I completely agree you. These relationships have the potential to improve our character. We are supposed to experience personal growth through our relationships. I feel everyone needs at least one person their life who can challenge them. This woman has a talent for it. I’ve been able to eliminate quite a few limiting beliefs with her help. Thank you for the excellent advice Julianne! That’s wonderful–thanks so much. I’ve read yours but always have more trouble writing fiction reviews that don’t give too much away so still working on figuring that out. The children’s story about elves, etc. March of Toymakers. You’re welcome! I was confused for a minute. 😉 Haha, yes the fairy tale! Thank you! For some reason when I hear fiction, I always think science fiction. I think you are correct. I have probably nominated so many of the same blogs over and over and over again..